Did you see the recent headlines about pushups and heart health? A new study had the mainstream media insisting we drop and give them 40. But if your days of pushups and jogging are long behind you, you’re not alone. In fact, those headlines seemed out of touch to a lot of us. Now don’t get me wrong. I’m NOT ragging on exercise. It’s incredibly important to get up and move every day. Sitting kills. But being active can help you stay healthy and fight off all the diseases of aging from dementia to diabetes. And for the ladies, it can slash your risk for one of the leading causes of death among your peers… heart disease. Which is why I encourage activities like walking, swimming, and even dancing around the dining room. But unreasonable exercise expectations cause many folks to avoid exercise in the first place. Especially those who are on the other side of 50. And that’s why the results of a recent University of Tennessee study are so refreshing. For the new study, researchers followed over 5,800 women ages 63 to 97. They kept track of the volunteer’s heart health and exercise totals for five years. And what they found will likely DELIGHT you. It turns out you don’t have to run marathons. You don’t even need to spend hours at the gym every day. You can still make a MAJOR dent in your heart risk. 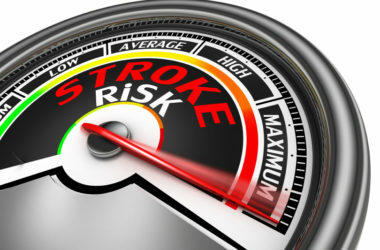 In fact, ladies in the study managed to send their stroke and heart attack risk plummeting without even breaking a sweat. Want to know how they did it? Two words. Light exercise. Women who engaged in light exercise slashed their stroke risk by 22 percent. And their heart attack risk plunged an incredible 42 percent. Best of all many of the activities you’d be doing anyway can be considered light exercise. Need to weed the garden? Go ahead that counts. Is the dog due for a walk? Yes, that counts too. Even folding laundry or pushing your grandchild on a swing makes the cut. Because the activity doesn’t have to be tiring or strenuous to work. The goal is to keep moving, breaking up the sitting with regular bursts of activity. And your reward is a significantly lower stroke and heart attack risk. Your days of power aerobics may be behind you. But that doesn’t mean you can’t make a powerful impact on your heart health. Use this no sweat secret to slash your risk starting today.